Fences come in all shapes and sizes as well as building materials, but nothing quite matches the natural beauty and environmentally friendly properties of a living fence. 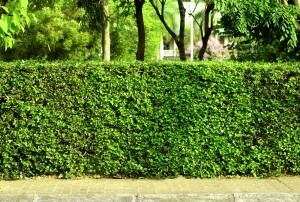 The definition of a living fence is (not surprisingly) a fence that is made from living shrubs or trees, and it can also be referred to as a hedge or a ‘green’ fence. Green fences are not only durable, long-lasting, cost-effective and ideal for privacy screening, if they are constructed as a visual extension of a home’s living areas, they are aesthetically beautiful as well. Here is a guide on how to grow one, their benefits, and what plant species are best for propagating your very own living fence. What is the history of living fences? Living fences were the most common and widespread form of fencing used in the UK up until the late 19th century. In Australia, a small number of living fences were laid by convicts almost 200 years ago, and these were one of the earliest forms of farm fencing in the country. Excellent examples of these are still evident in some regions, in particular in central Victoria and in northern and central Tasmania. A range of plants were used in Australian hedges, most commonly African Boxthorn, English Broom, Prickly Pear, Osage Orange, Sweet Briar and White Hawthorn. Unfortunately, many of these are considered serious environmental weeds today! What are the benefits of living fences? 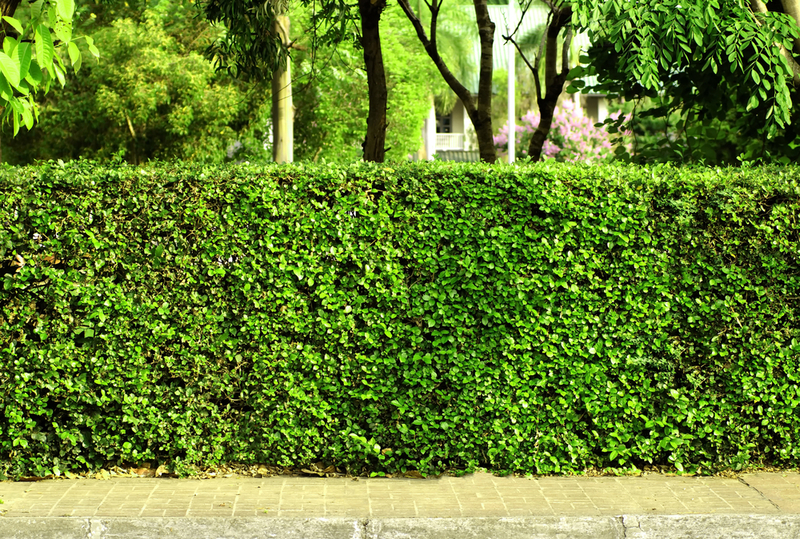 If you’re a homeowner with an unsightly fence, you may be considering disguising its harsh appearance and obtain some privacy by planting bushes, trees or climbing plants on the fence line. Unfortunately, some plants in contact with or growing over a fence can contribute to its rapid demise. Wooden fences are prone to rotting as climbing plants, for example, prevent access to sun and air and thwart the seasoning of the timber. On wire or metal fences, plants can hamper painting or the application of anti-rust compounds that can prolong its life. Green fences require little maintenance, can ensure year-round privacy and often don’t need any additional foliage to screen or disguise them. Holes or gaps generally don’t appear in a living fence due to individual plants dying off, and there is a huge range of species that can be used to construct them. They can also create an effective wind barrier, increase a home’s security and if constructed as a visual extension of a home’s living areas, be aesthetically beautiful. If living fences are constructed from plants like wattle, for example, they are also extremely durable compared to other types of fencing. Wooden fences may only last up to 15 years, wire fences will probably only last up to 30 years, and even brick fences start to weather as time goes by. A live wattle fence will last as long as the species from which it’s made – often several generations. Unlike other fencing materials, rather than deteriorating, these types of fences become stronger year by year, constantly increase in value, and fulfil their purpose without you having to spend undue amounts of time, effort or money on maintaining them. How do you grow a living fence? Living fences can either be grown on-site or planted from sections that are raised in a tree nursery. If we take the example of wattle fences from a tree nursery, after planting out and ensuring the roots are established and foliage is beginning to grow, each section is joined. It can take a number of years for the sections of foliage to become thick enough and for them to sufficiently grow together. Sections are also normally shaped in a way that allows them to be joined easily at their final site. If you are researching how to construct a living fence yourself, well-developed trees need to be planted at suitable distances from one another. Branches from each tree are then woven into those of their neighbours and the points of contact are secured with tape. As soon as diameter growth begins, the young trees gradually grow together permanently at the points of intersection, and after one or two years it should be virtually impossible to separate the branches at the joins. The saplings that were formerly separated will now have been transformed into one long, low-growing tree that has many root systems through which sap circulates continuously. The advantage of this is that no individual tree in the row will die off because each of them is supported by the overall network. What species make the best living fence? In terms of living fence plants, it’s important to consider soil, site and climatic conditions and the ultimate purpose of your fence. Preference should be given to species that grow quickly during the initial years, and later flower and/or fruit profusely. Low-growing species are advisable (dwarf varieties for very low fences), although more vigorous species will suit higher green fences. Suitable plants should always be purchased from reputable tree nurseries as they must be planted out as saplings. As one of the fastest-growing screening plants, bamboo offers a resort-style ambience, and small plants purchased from nurseries can provide screening in as little as six months. Bamboo has a bad reputation terms of taking over gardens, however this is largely due to homeowners selecting the wrong variety. Growing up to about six metres high, Slender Weavers bamboo is an ideal variety that is minimally invasive. A popular Australian native plant that’s ideal for living fences in terms of its screening properties is the lilly pilly, as it forms a tidy hedge and grows up to two metres a year once it’s established. Other plants ideal for privacy screening include Red Tip Photinia, ‘Silver Song’ and Magnolia ‘Little Gem’. Fast-growing conifers like the Leyland Cyprus are also commonly used to create dense screens and living fences, although at up to 15 metres high, overshadowing can be an issue if the trees aren’t pruned regularly. You should also consider planting local native trees and nectar-producing plants that attract bees and will support wildlife like butterflies, beetles, song birds and small animals. Living fences can take years to become functional. Unlike aluminium fences! Contact the professionals at FenceCorp today on (07) 3715 5055. Posted in Advice, Fences. Bookmark this page. We had a custom design manufactured by FenceCorp and would like to acknowledge their workmanship and quality of the finished product. We were very happy and we constantly get compliments from friends and anyone just walking by. We are definitely fussy people and had our mind set on what we wanted. FenceCorp did and has made what we hoped for.